It’s a Mousetalgia Emporium this week! Topics for the week include alcohol in Disneyland, lights on floats and remembering a friend. First, Team Mousetalgia offers a listener a “Hand with the Land” with tips for solo touring at Walt Disney World. Then, we finally tackle the issue of alcohol coming to Disneyland, and debate the pros and cons. 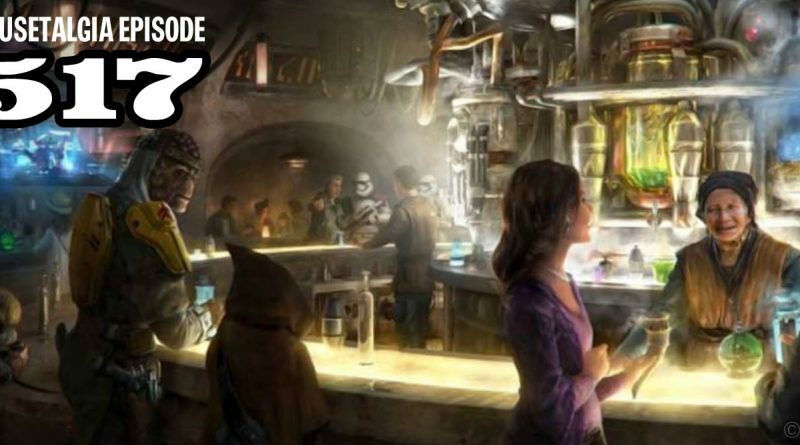 Does the Star Wars Galaxy’s Edge Cantina warrant an authentic stiff drink? Perhaps our opinions will surprise you! Next, we speak with Ben Sherman, author of “Lights,” about his time at Disneyland and his role in the creation of the Main Street Electrical Parade. Sherman shares some of the challenges and victories behind the scenes during the development of this groundbreaking nighttime spectacular.